Paranoid schizophrenia is the most common subtype of schizophrenia and the patient suffers from delusions and may have auditory hallucinations too. In some cases they will also have delusions of grandeur, which is the false belief that they are more influential and powerful than in reality. Usually people with paranoid schizophrenia do not have as many problems with concentration, dulled emotions, or memory as those with other subtypes of schizophrenia and this lets them function and think better. Despite this, paranoid schizophrenia is chronic and can lead to eventual complications such as suicidal thoughts or behavior. These include false personal beliefs which aren’t affected by contradictory evidence or reason. In some cases the patient might firmly believe that something is true despite there being incontrovertible evidence pointing to its falseness. An example is to believe that a neighbor wants to poison the patient. Auditory hallucinations are when a patient hears voices that don’t exist. Although visual hallucinations are also possible, they are rare. Most people with paranoid schizophrenia will have periods in which they experience high anxiety. They may also suffer from anger ranging anywhere from a mild irritation to rage or fury. The anger can increase the blood pressure, heart rate, and even internal levels of noradrenaline and adrenaline. They may also be emotionally or physically detached so that they are remote and reserved or aloof. It is possible that those with paranoid schizophrenia will be aggressive enough to have violent outbursts or quarrels. Some patients will seem patronizing, sometimes because they feel that they are knowledgeable in ways that others aren’t. In many cases a person with paranoid schizophrenia will not be aware that their difficulties in life come from a particular mental illness. Because of this, family or friends are frequently responsible for recognizing the signs and seeking help. Viral infections: In some cases if a person is exposed to viral infections while still a fetus, they will have a larger risk of schizophrenia. Genetic reasons: Those who have a family history that includes schizophrenia will have an increased risk of developing it. People with no family history of the disorder have a risk of less than 1% of developing any subtype. Simply by having a parent who suffers from it, however, the risk increases to 10%. Abuse or trauma in childhood: This is another possible risk factor. Medicines: There are certain medications that can affect the mental processes or mind and these can increase a person’s risk of schizophrenia. Old parents: Parents who have children when they are older have an increased risk of their children developing schizophrenia. Pressure from life: Stress, especially during the early part of life, can contribute towards developing schizophrenia. But it can be challenging to know if schizophrenia leads to these stresses or develops because of them. Malnutrition during the mother's pregnancy: The risk of developing schizophrenia increases for people who were malnourished as a fetus during their mother’s pregnancy. Atypical antipsychotics or 2nd generation antipsychotics are used to treat psychiatric conditions. These do not usually lead to EPS (extrapyramidal symptoms) such as Parkinson-type movements, tremors, and rigidity. They may lead to side effects such as increased blood cholesterol levels, diabetes, or weight gain. Typical antipsychotics or 1st generation antipsychotics are similar to atypical ones, but come with an increased risk of EPS such as involuntary face movements, Parkinson-type movements, and tremors. Other drugs include mood-stabilizing medications, anti-anxiety drugs, or antidepressants. In some cases patients with severe symptoms will be hospitalized. It will be safer so they can get the right nutrition, help with hygiene, and get better sleep. Psychotherapy is frequently combined with medications. This training helps the patient get skills to live independently. They will learn to better communicate, eat nutritious meals, and have good hygiene. This involves sending an electric current to the brain producing controlled convulsions and is sometimes used for patients with depression or severe symptoms. It can lead to short-term memory loss. Can you cure or control it without medication? It is suggested that schizophrenia patients are probably not cured without medication. People with schizophrenia may improve over time, even without the use of medication. However, it does not mean that it is cured. Is it possible to die from it? 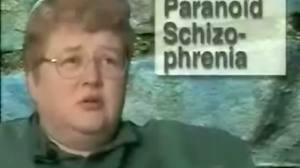 Paranoid schizophrenia will not kill anyone directly but it is possible for patients to become suicidal and act on this. Although those who do not participate in treatment are at higher risk for committing violence, research shows that schizophrenics aren’t usually dangerous. Instead they tend to stay alone and are more likely to be victims.